Anybody who is familiar with our Former Vice President, Atiku Abubakar should know by now that the guy can speak from the both sides of his mouth. 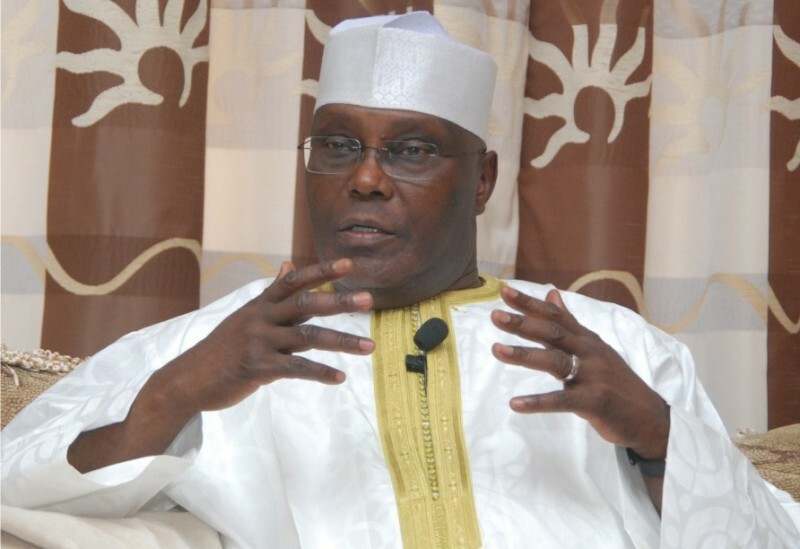 Well, this time Atiku said the Boko Haram crisis was a deliberate ploy by the Federal Government to cause instability in the country for selfish political reasons. He disclosed this while speaking on the Voice of America, Hausa Service ‎on Thursday. “This thing (insurgency) almost came up during our time but we crushed it in less than a month. We have a military that is known and respected the world over for peace keeping. “The military has the right leadership and the required arms; they can end this insurgency. But the government is promoting this insurgency for selfish reasons,” Mr. Abubakar said. On whether he had the solution to end the crisis if he became President, Mr. Abubakar said that would not be impossible as he had on one on one basis, given advice to the Mr. Jonathan on how to end the crisis but his advice were never taken. He insisted that the government should be accused of complicity in the crisis which had, for some time, appear to defy solution. He called on Nigerians to be united against bad governance and terrorism.